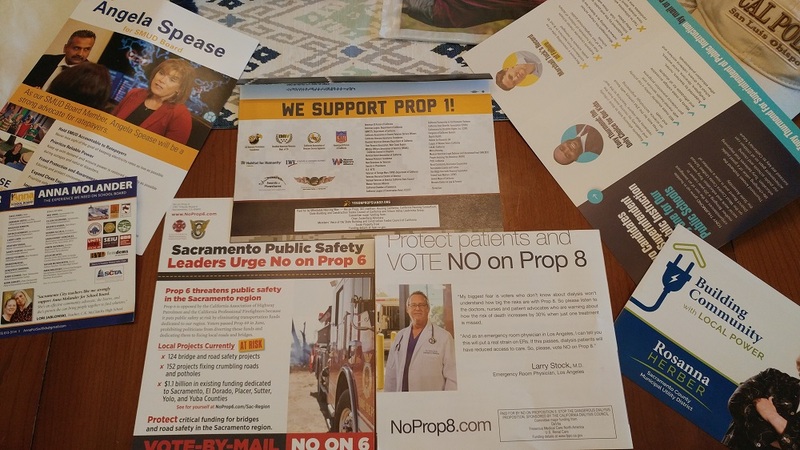 SACRAMENTO, Calif. (CN) – Ahead of Election Day, airwaves and mailboxes across California overflow with expensive campaign advertisements. On top of choosing elected officials, California voters – not lawmakers – will once again decide things like constitutional amendments, $50 billion tax hikes and obscure labor union disputes. Golden State voters receive a double dose of campaign propaganda during every major election thanks to its century-old system of direct democracy. Through a “political artifact” of the Progressive Era, like-minded voters can still propose, pass or repeal both laws and elected officials. The powerful tool has allowed voters over the last 116 years to bypass the Legislature and cement far-reaching tax reforms, approve women’s suffrage, change the way state budgets are approved, set term limits for lawmakers and most recently legalize recreational marijuana use. Intended as a way to circumvent inefficient lawmakers and ward off corruption, California’s direct democracy has been distorted from the version implemented by reformers in the early 20th century. Qualifying and passing a measure is no longer a romantic grassroots undertaking, but largely a pay-to-play process dominated by special interests and savvy politicians. After several years of leading public corruption cases in San Francisco, Johnson and a flood of progressives gained control of the Legislature on a promise to crush the railroad industry’s sway over the Capitol. Coined the “Octopus,” the railroad industry for decades bribed politicians in return for tax breaks and subsidies, gaining an impenetrable grip on the Legislature in Sacramento. As the only option in most towns, the railroad used its transportation monopoly to strong-arm municipalities and merchants trying to reach markets outside California. Under Gov. Johnson, who later was Theodore Roosevelt’s running mate in the 1912 presidential election, the Legislature quickly passed railroad regulations and followed the lead of eight other western states by giving voters the power to propose their own laws and recall politicians. Prominent Los Angeles doctor John Randolph Haynes helped bankroll the statewide adoption of direct democracy and would go on to play a major role in California politics until he died in 1937. “This power of direct democracy, and its frequent exercise, would become the most distinctive feature of California politics – for better or for worse,” Gendzel wrote in a 2013 social science journal review. Gendzel and other experts have documented how the progressives’ ploy to check the power of the wealthy has evolved into a weapon for California’s biggest corporations. It now costs backers millions just to collect enough signatures to qualify a statewide measure and millions more to spread their message across California’s 58 counties. To qualify an initiative, backers must gather verified signatures of registered voters equal to at least 5 percent of the number of votes for governor in the last election (365,880) and 8 percent (585,407) for constitutional amendments. Since 2011, initiative measures only appear on statewide general election ballots and require a simple majority. A glance at the California Secretary of State’s campaign finance reports reveals how costly it is to pass and defeat ballot measures in 2018. With no contribution limits, campaigns for and against the 11 propositions on the November ballot had already received more than $300 million in donations as of Oct. 11. Backed by a conservative taxpayers’ association and the state’s leading Republicans, Proposition 6 has garnered the most media attention of the measures facing voters this cycle. If passed, Proposition 6 would repeal a transportation tax expected to raise $5 billion annually for road repairs over for the next 10 years. Underdog Republican gubernatorial candidate John Cox is one of the main donors and hopes the measure spurs conservatives to the polls next month. While Cox and others have gathered $4.7 million in donations to hopefully overturn the so-called gas tax, opponents have raised nearly $33 million. California’s record 19 million registered voters will also decide two disputes within the medical industry: Proposition 8 would limit profits for dialysis clinics while Proposition 11 gives ambulance companies the ability to require crews to answer calls during meal breaks. Propped by hefty contributions from impacted businesses and unions, donors have committed over $141 million to the propositions’ yes and no campaigns. Fundraising is certainly critical to passing ballot measures in California, but it’s typically much easier to defeat a measure than pass one. According to state data, of the 376 qualified initiatives since 1912, just 35 percent got the OK from voters. Of the 1,996 initiatives cleared for circulation, 75 percent didn’t even make it to the ballot. California’s system, also called direct legislation, often creates cluttered and massive ballots. Voters faced 29 propositions in November 1988 and 28 just two years later. There are 11 qualified measures on the current ballot. The passage of a property tax initiative in 1978 is widely credited for spawning the upswing in ballot measures. Proposition 13 passed easily and set both commercial and residential property taxes at 1 percent of assessed value, along with a requirement that all future statewide tax increases pass both legislative houses by two-thirds majorities. Historian Robert Cherny, professor emeritus at California State University, San Francisco, summed up Proposition 13’s impact. Similar to Cox this year, politicians have regularly contributed to the jumbled ballots Californians have grown accustomed to. With visions of the U.S. presidency, Republican Gov. Pete Wilson tried to boost turnout while running for re-election in 1994 by backing a ballot measure to eliminate social services for undocumented immigrants, Proposition 187. Wilson hoped to sway Democratic voters concerned with immigration in the gubernatorial election. While Proposition 187 passed by a large margin, federal courts blocked most of its provisions. And the initiative’s lasting legacy is that it shifted large numbers of Latino and minority voters away from the Republican Party. Wilson’s tactic did little to boost his popularity as he eventually dropped out of the 1996 Republican presidential primary. Current Democratic Gov. Jerry Brown in 2016 also used direct democracy to install sweeping criminal justice reforms. Voters overwhelmingly approved Brown’s Proposition 57, which promised to “stop the revolving door of crime” by making thousands of nonviolent inmates eligible for early parole. During the campaign, Brown said he would do “whatever it takes” to pass the measure and he and the California Democratic Party donated millions to the yes campaign. Critics argue that California’s direct democracy could be improved, but changes have been hard to come by. Other proposed tweaks to the system include a wholesale ban of paid signature-gatherers, increasing the threshold to qualify initiatives and giving the Legislature oversight over qualified measures. Gendzel says it “would probably kill Johnson” if he was around to witness the 2018 version of California’s direct democracy. “It’s too simple for paid signature-gathers, who are like bounty hunters in the paid-signature jungle, to misrepresent the measures that they are thumping in an effort to increase their own compensation,” Gendzel said.